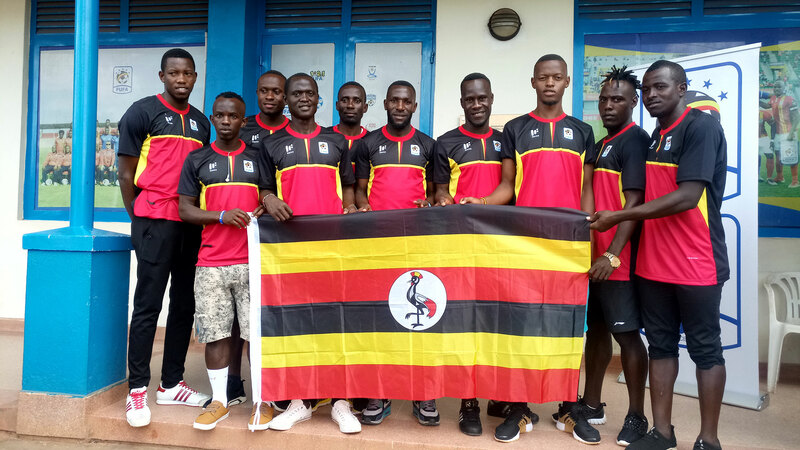 DAR ES SALAAM – On Monday, the Uganda national beach soccer team (Sand Cranes) departed for the 2018 Copa Dar es salaam tournament. A contingent of 18 people was flagged off by the Federation of Uganda Football Associations (FUFA) finance director, Decolas Kiiza at the FUFA House in Mengo. The team embarked on the road journey by Tahmeed Coaches bus for Dar es salaam where they are expected to arrive on Tuesday. Salim Jamal Muwonge the Sand Cranes head coach assured Ugandans to return home with silverware. “We are the best in the region and we have to prove that in such tournaments, said Muwonge. “We have selected the best players from the league and we are sure we shall return home with silverware. “We expect to keep on improving and we hope to obtain a lot from the tournament. “We are well motivated and prepared for the tournament, said Katwe. “This is our second time to be part of it. “We hope to improve on the performance and come back with victory. The tournament will kick off on Wednesday, 21st and is expected to end on Sunday, 25th November 2018 with five countries Seychelles, Malawi, Tanzania, Madagascar and Uganda already having confirmed to take part. The Copa Dar es salaam is beneficial in the planning process and bonding of the beach soccer team for future engagements.